These drawings and sketches were done on site in various locations in Spain, Greece, Italy and Sicily. 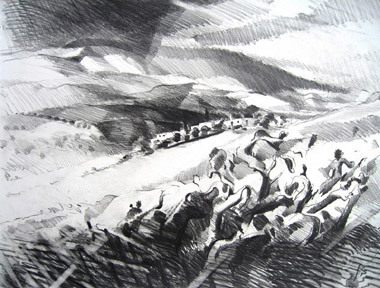 Drawing, for me, is a way to record and absorb the appearance and the feeling of a particular landscape. Later on, when I'm painting, I rely on my memory of those feelings to reconstruct the place and my experience of it.